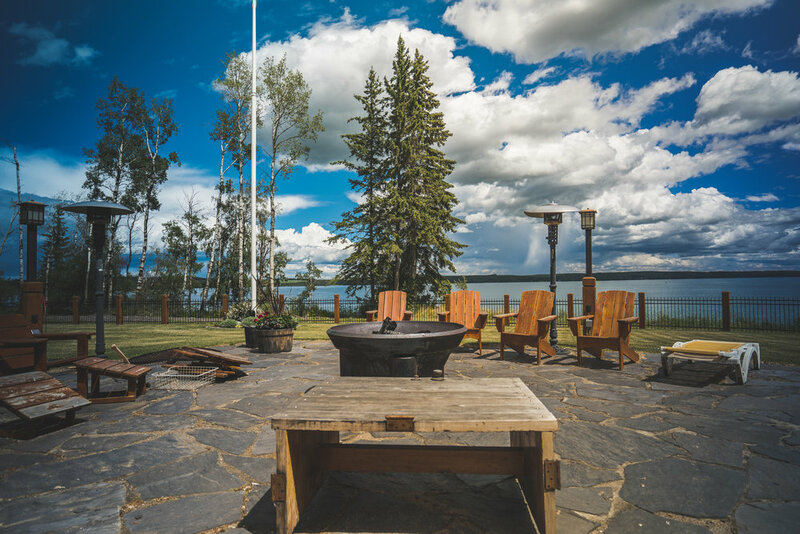 The exclusive PROPERTIES of EAGLES QUAY at Sylvan Lake. 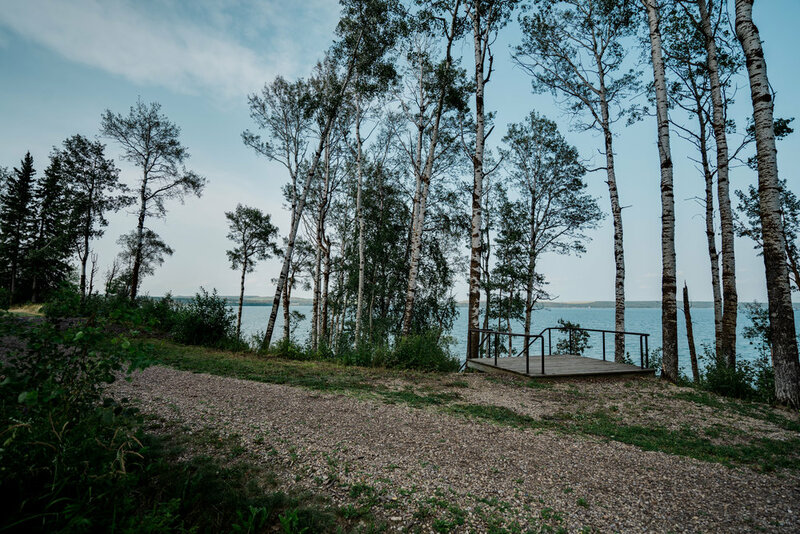 A luxury lakeshore community that combines privacy, natural beauty, and year round enjoyment. Gift your family with the perfect place to unwind. Connect with family and friends to create lasting memories for generations to come. 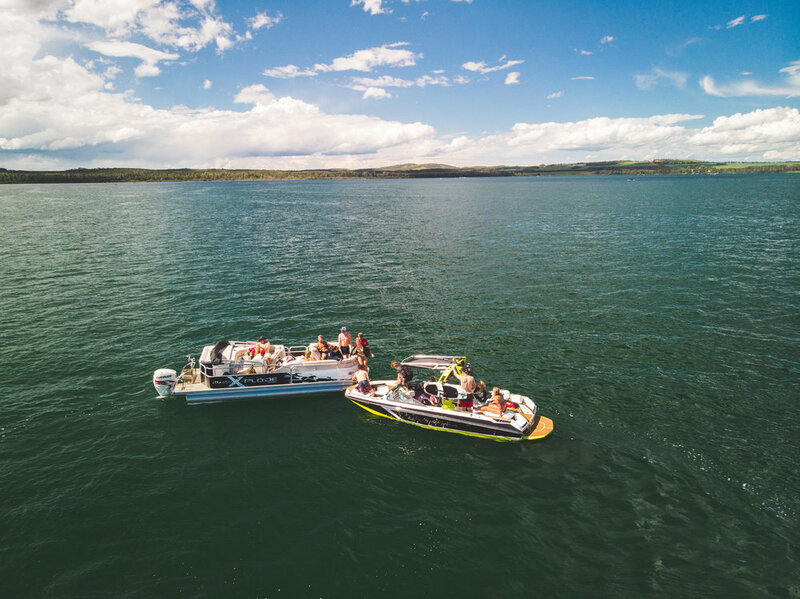 Located on the northwest shore of Sylvan Lake, EAGLES QUAY provides a sandy lake bottom, deeper water for mooring watercraft, as well as less boat traffic. 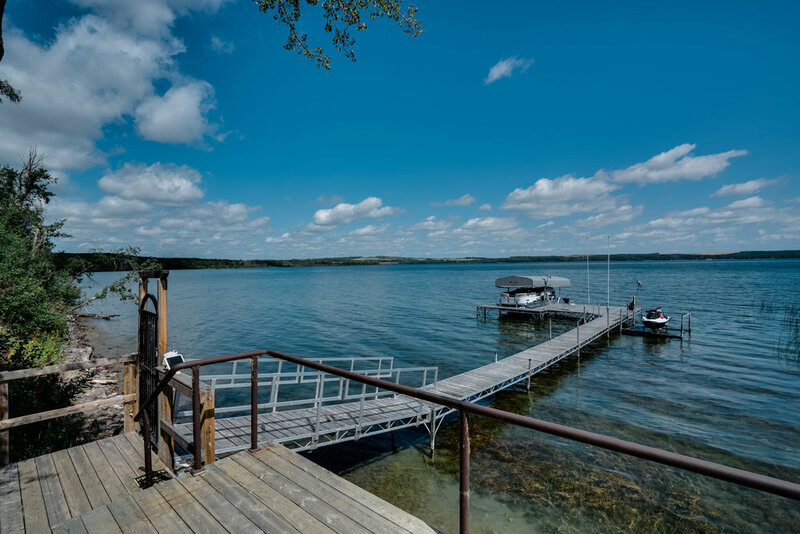 Build your dream lakefront property, to be enjoyed throughout the year. The beauty of EAGLES QUAY is unwavering in all four seasons. 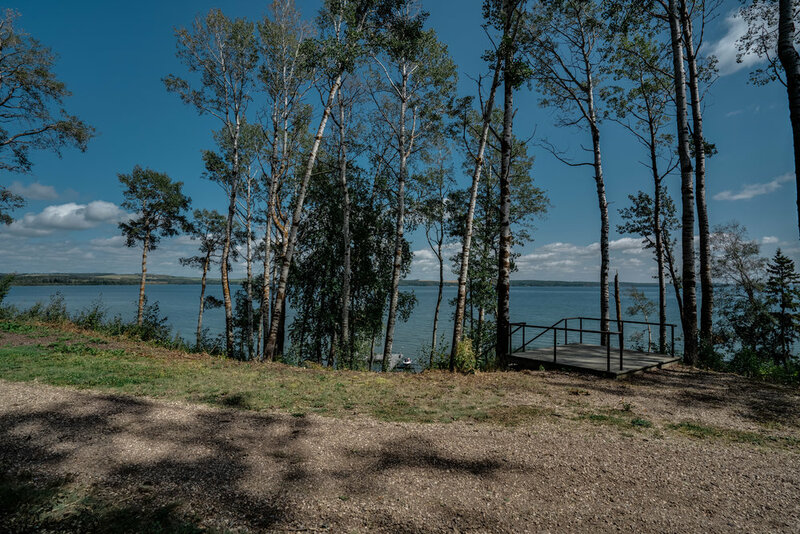 EAGLES QUAY is and will remain the most prestigious and superior single-family Estate Lot Lakeshore Community on Sylvan Lake. 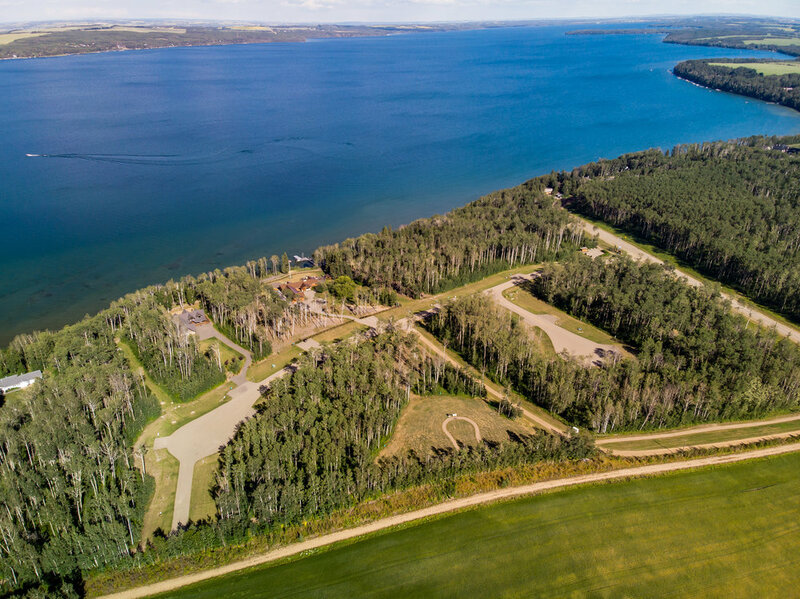 EAGLES QUAY Estate Lots are Three Times the average Sylvan Lake Lot. Provides great enjoyment and comfort for family and friends. The size of the Estate Lots, add tremendous flexibility to developing your dream property. Add a guest house or a workshop to maximize the use of the space. A tennis or a volleyball court will fit on these 32,670 sq. ft. Estate Lots. Basements are allowed in the construction at EAGLES QUAY. Basements are not allowed at all Sylvan Lake developments. 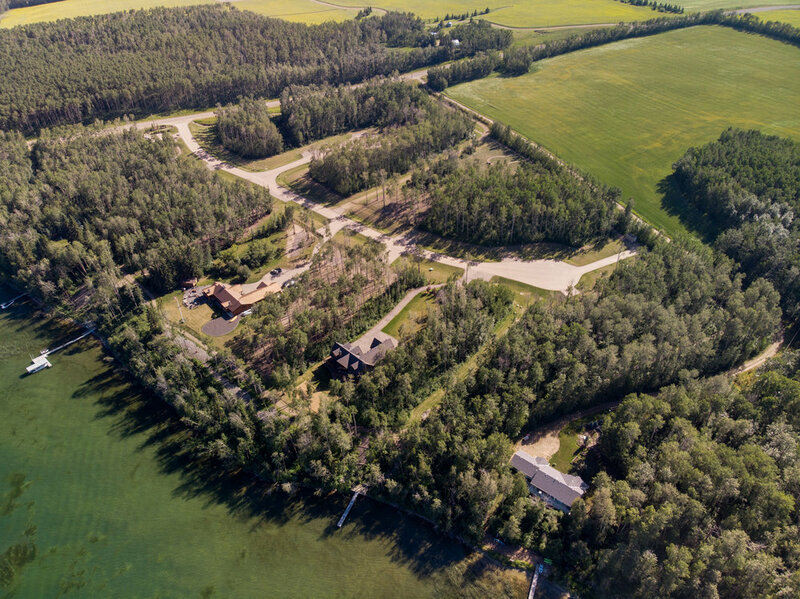 All EAGLES QUAY Estate Lots are fully treed, providing purchasers with an added level of privacy. Purchase can decide how many-- or how few-- trees they want to remove from their Estate Lot when they build. 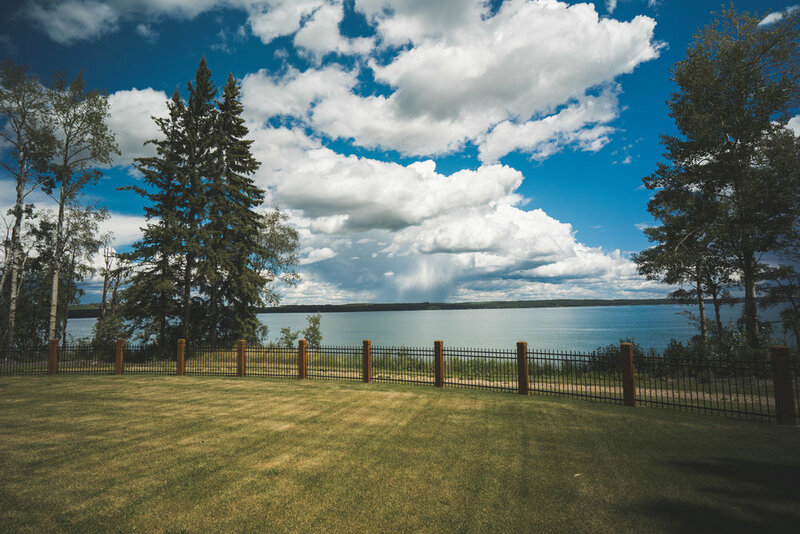 The dimensions of EAGLES QUAY Estate Lots means owners can situate their house to not only take in the most spectacular views of Sylvan Lake, but also to ensure privacy. 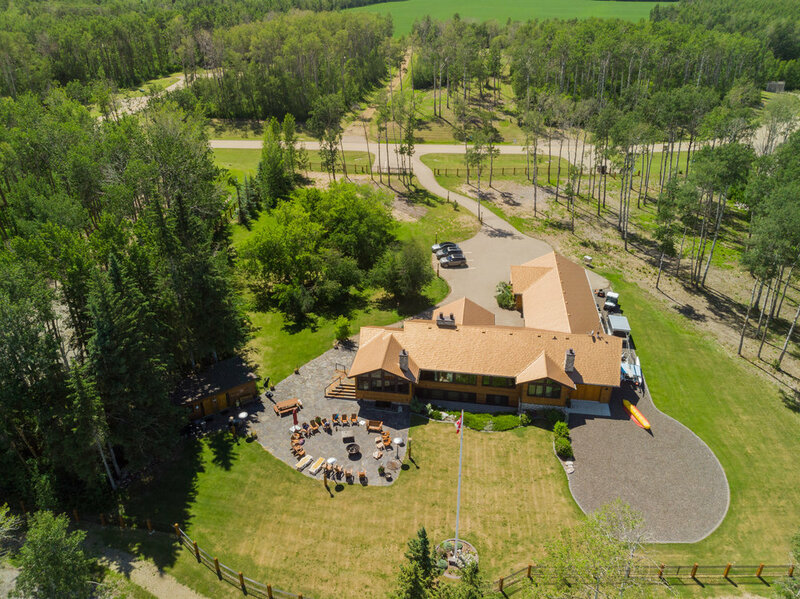 Select your home builder of choice or use Master Builder Ken Taralson of Taralson Construction to build your quality custom home. Ken Taralson has a proven track record of providing quality construction at extra reasonable prices. Commence construction now or at a later date. There is no requirement for purchasers to commence construction within any specified time period. EAGLES QUAY is strategically located just south of the 33-acre protected, Sylvan Natural "Fen" Area, which cannot be developed. 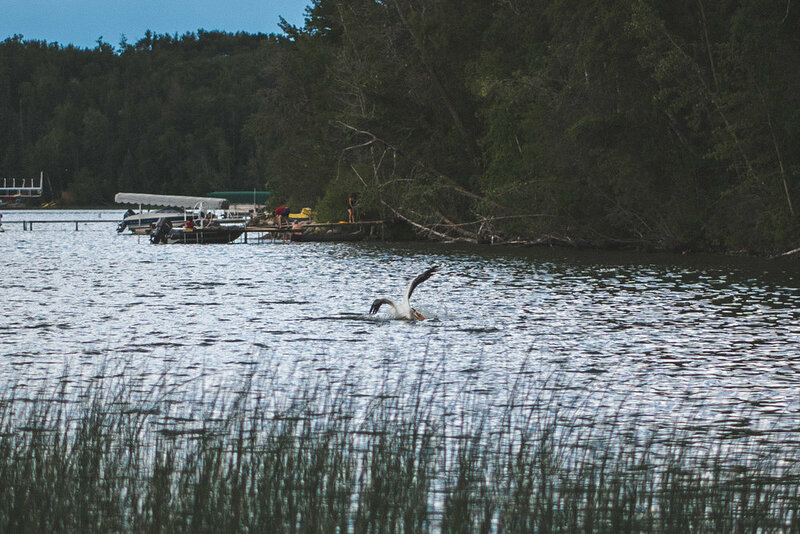 Nature flourishes and at EAGLES QUAY it is common to enjoy wildlife such as bald eagles, pelicans, osprey, ducks, geese, song birds, deer, fox and many more. 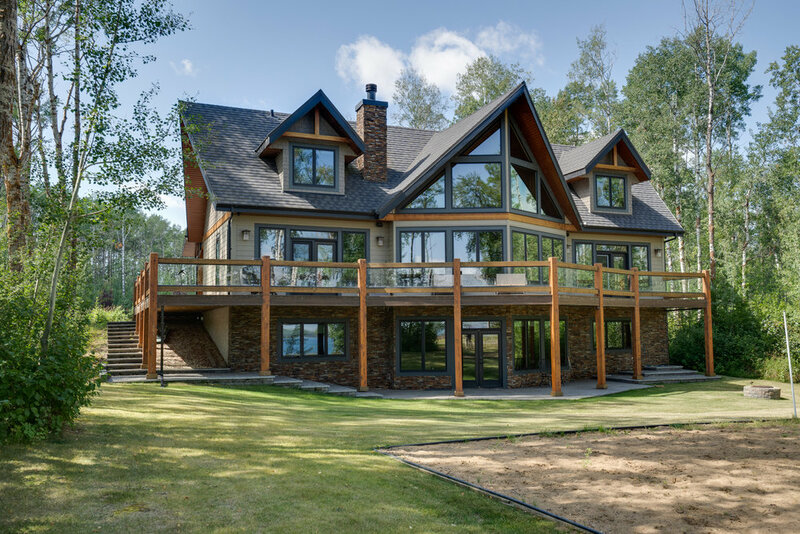 Architectural guidelines ensure construction of elegant lakefront homes, rich in detail and complimentary to the landscape. Emphasis will be concentrated on trying to create a strong "appeal" to each home through attention to detail. Minimum square footage starts at only 1300 square feet. Developed with the highest quality infrastructure and paved roads. Gas, electricity, telephone, communal water & sewer are serviced to each lot line, at no cost to purchasers. Purchasers simply connect to the services when building their home. 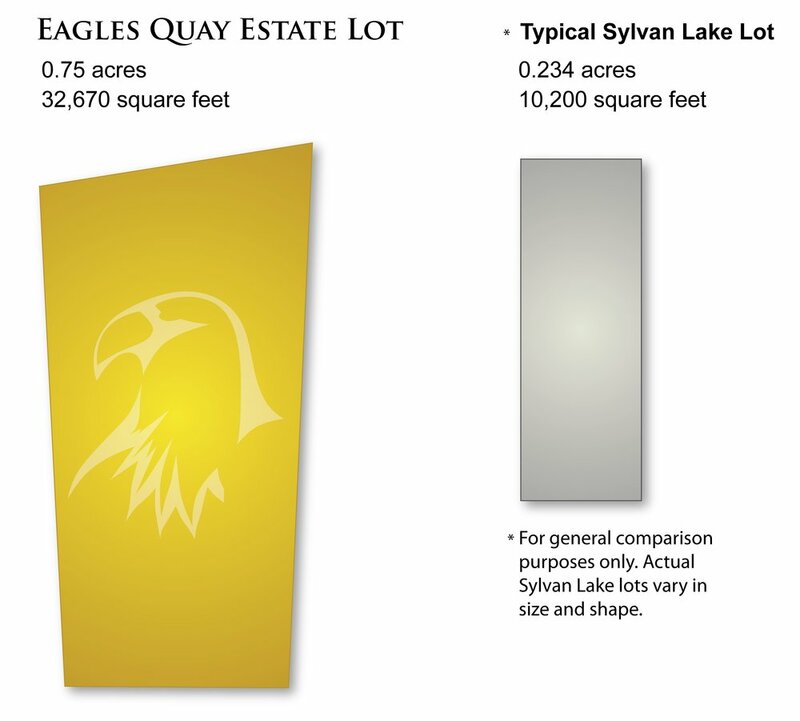 All Estate Lot owners at EAGLES QUAY have direct access to the EAGLES QUAY's 800 feet of lakefront. Residents are given the option of building a private dock or joining the community private dock system. Two permanent sets of stairs lead to the lakeshore landings. Throughout EAGLES QUAY, you will find walking trails, outdoor benches, picnic tables, and a private park for residents to enjoy. 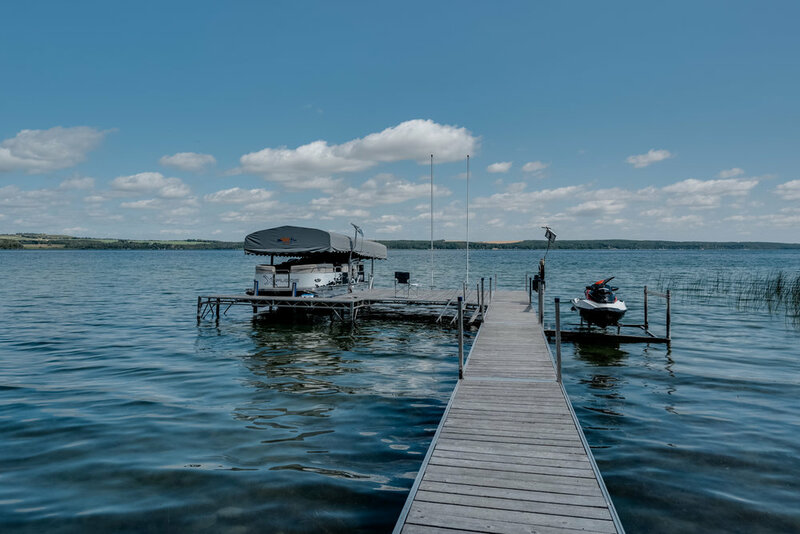 EAGLES QUAY provides a sandy lake bottom, deeper water for mooring watercraft, as well as less boat traffic. 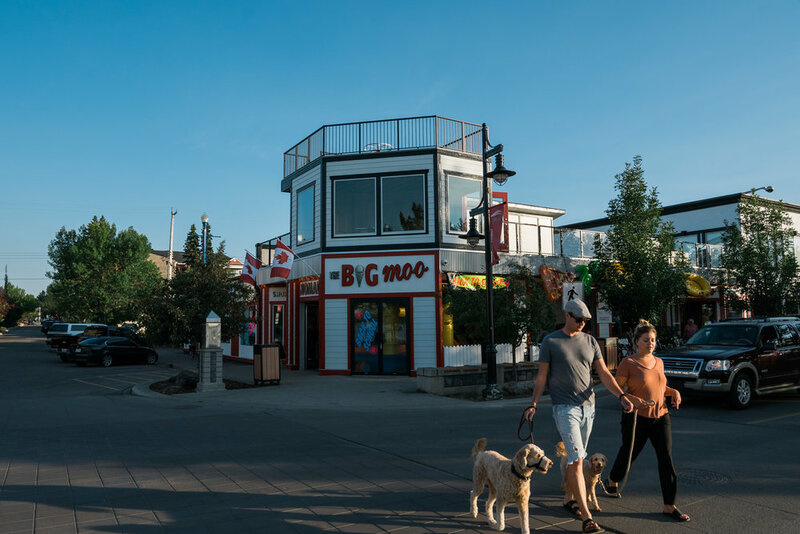 No other location on Sylvan Lake compares with the lifestyle at EAGLES QUAY, while still providing proximity and ease of access to the Town of Sylvan Lake (10 minutes), Red Deer (25 minutes), Calgary and Edmonton. Range Roads 24 and 25 have also been widened and upgraded for paving. 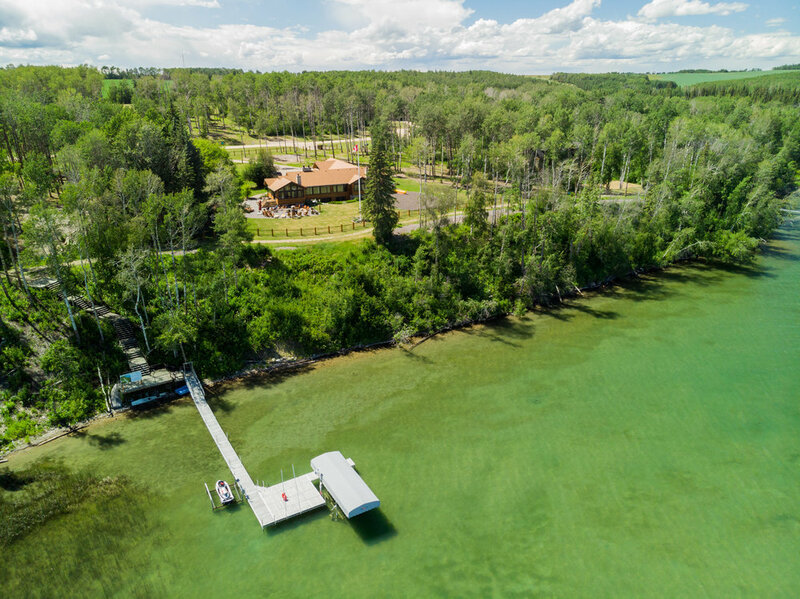 Sylvan Lake recreational properties are among the most expensive in the country. 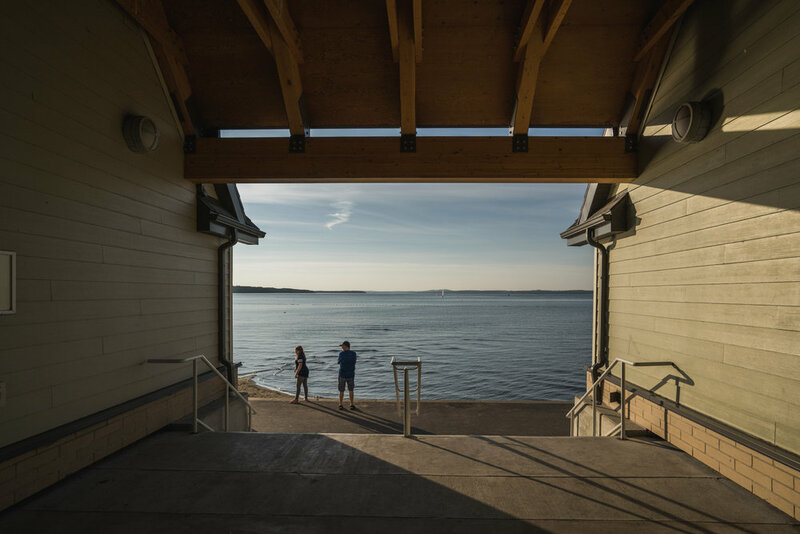 Sylvan Lake is among the most expensive and sought-after recreational property in Canada. 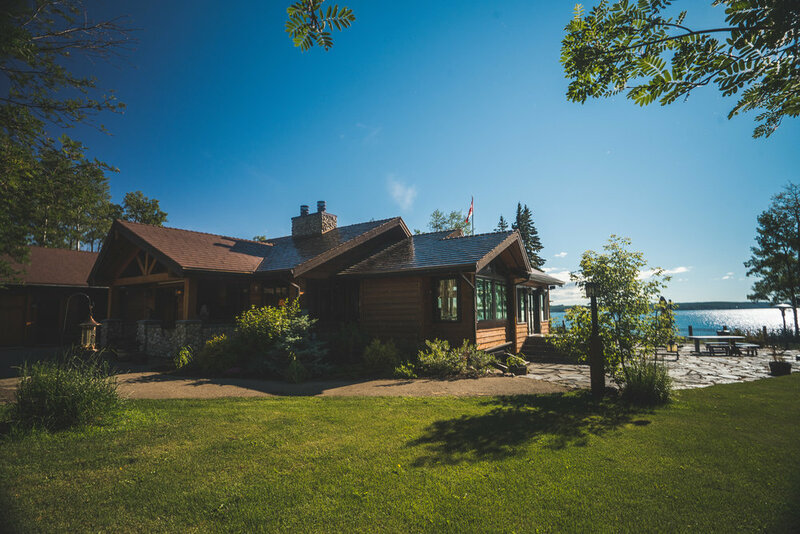 over the past sixty (60) years Sylvan Lake property values have frequently increased at the rate of approximately 10% annually. Sylvan Lake has crystal clear, spring-fed water; therefore, Sylvan has not become "sick" with blue algae, as other Alberta lakes have suffered. 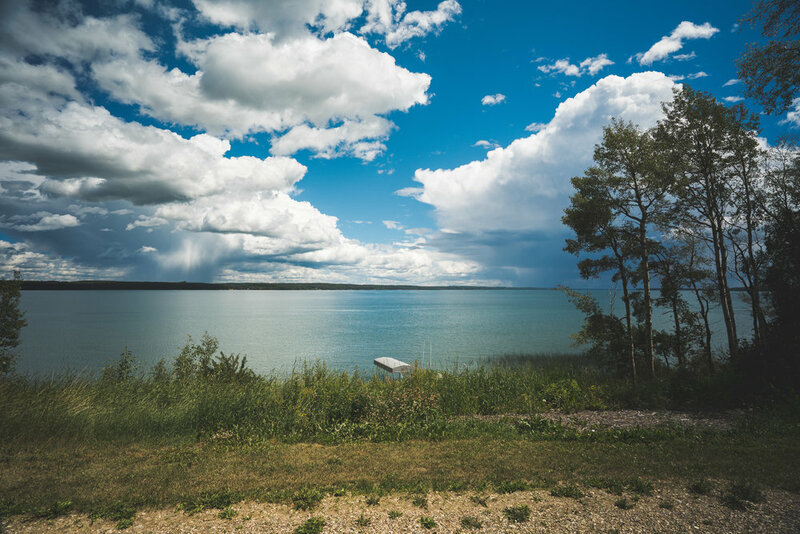 The Town of Sylvan Lake offers a myriad of amenities and activities throughout the year. 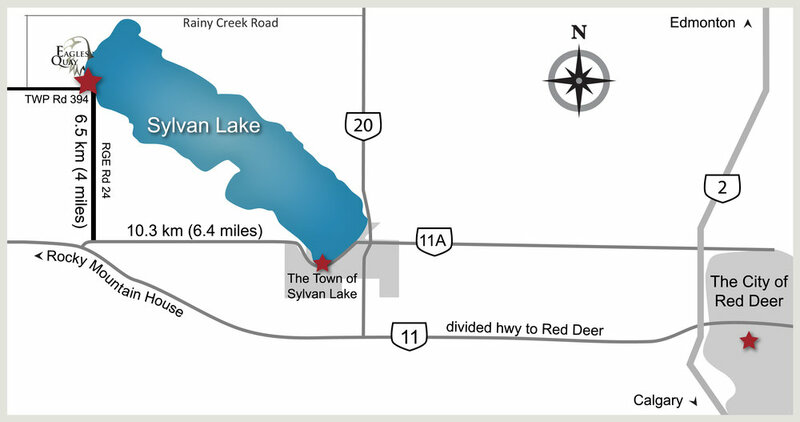 Sylvan Lake is uniquely positioned in the market place, as it is in the centre of Alberta's economic corridor. 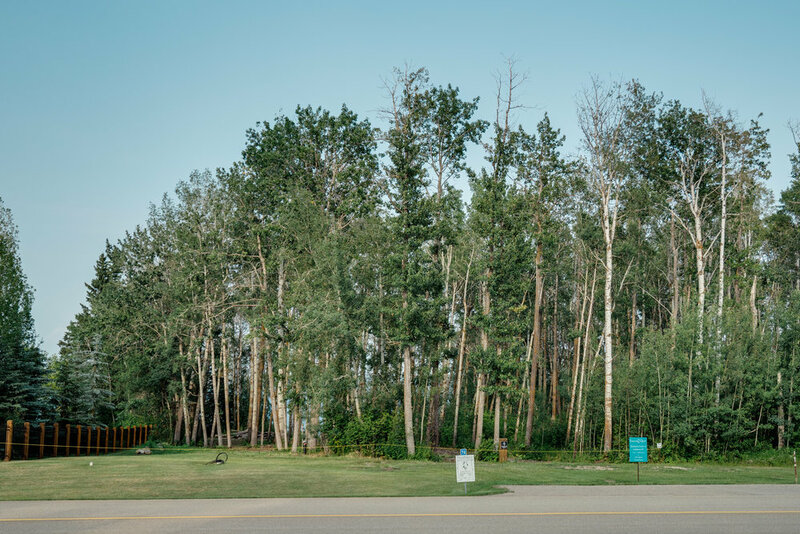 Travel west from Sylvan Lake on Highway 11A (Lakeshore Drive) until you reach Range Road 24. Turn right (north) on Range Road 24 and follow directly to TWP Road 394. Range Road 24 curves left and becomes TWP Road 394. Continue through the corner 190 m to the entrance to THE PROPERTIES OF EAGLES QUAY located on the right (north) side of TWP Road 394. Developed by Eagles Quay Properties Inc.